Anyone can grow a beautiful lawn with a little time, basic know-how, the right products and the right equipment. Stop by and let us help you get started. • Prevents crabgrass and 8 other problem weeds. Includes Step 1 For Seeding, Step 2 Weed Control Plus Lawn Food, Step 3 Lawn Food and Step 4 Fall Lawn Food. • Builds thick, green turf from the roots up. • Uses Particle Technology to get the weeds you see and the ones you don’t. 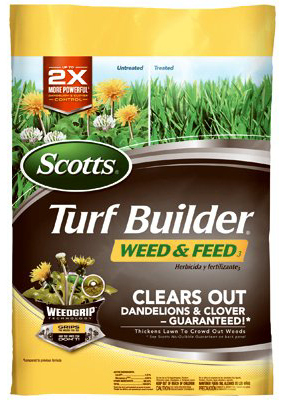 • Apply Scotts® STEP® 2 Weed Control Plus Lawn Food 2 in late spring for best results. • 5,000 sq. ft. and 15,000 sq. ft.
• Kid & pet friendly! 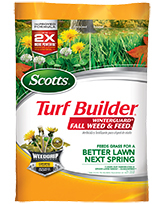 • Protects and strengthens for a better spring lawn. 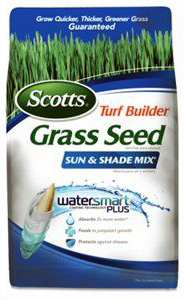 • Contains Scotts’ exclusive WaterSmart® PLUS coating that absorbs 2X more water than uncoated seed, feeds to jumpstart growth, and protects seedlings against disease. 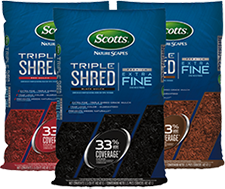 • Scotts’ most versatile mix. • Spreads to repair bare and thin spots. • Great for new lawns, repair, and reseeding. • Available in 3 lbs and 7 lbs. Kills dandelions and other major listed lawn weeds, Water Smart: Improves lawn’s ability to absorb water and nutrients, Builds thick, green turf from the roots up without burning your lawn. Weed and Feed with new weed grip technology. Water Soluble All Purpose Plant Food, Instantly Feeds Flowers, Vegetables, Trees, Shrubs & Houseplants, Double Feeding Action, Feeds Through Both The Roots & The Leaves, Safe For Your Plants, Guaranteed Not To Burn When Used As Directed, Starts To Work Instantly, Promotes Quick, Beautiful Results. 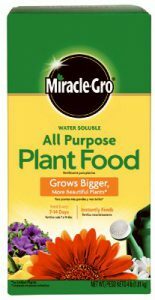 Miracle-Gro Miracid, 30-10-10, 4 Lb. 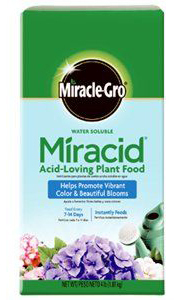 Water Soluble Miracid Acid Loving Plant Food, Instantly Feeds Acid Loving Plants Like Azaleas, Hydrangeas & Rhododendrons, Double Feeding Action, Feeds Through Both The Roots & The Leaves, Starts To Work Instantly, Promotes Quick, Beautiful Bloom & Strong Root Development. Turf Builder EZ North Grass Seed, 10-Lbs. • Coverage: 225 sq. ft.
• EZ Seed revolutionary seeding mix guarantees seeding success, even in the toughest places. • Its super absorbent growing material expands to surround seed in a moist, protective layer. • The mix continues to care for seed by infusing it with water, and nourishment, helping it to develop strong roots that can withstand tough conditions. 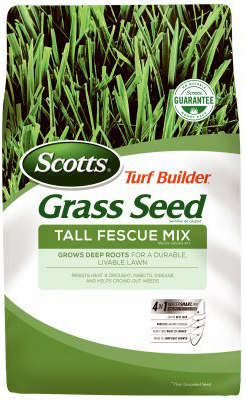 • Builds strong, deep grass roots for a better lawn next spring. • Provides nutrients to help repair damage from summer heat, drought, and activity. • Kid and pet friendly when applied as directed. • Recommended in Fall as part of the Scotts Lawn Care Plan. • Stops crabgrass before it invades and protects all season. • Feeds for a fast green-up after winter. • Builds strong, deep grass roots. • Typically recommended for most lawns in the Early Spring. • Improved killing power. Kills 25% more grub types vs original GrubEx. • Year-long color – guaranteed! 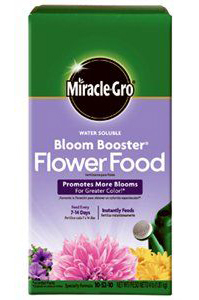 Miracle-Gro Bloom Booster Flower Food, 4 lb. 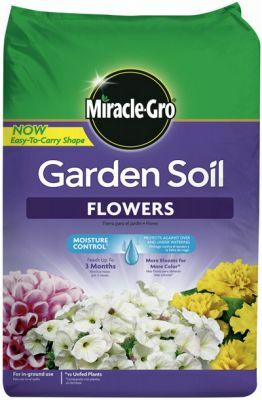 Miracle-Gro, 4 LB, 10-52-10, Water Soluble Bloom Booster, For Blooming Annuals & Perennial Flowers & Plants, Specially Formulated, Double Feeding Action, Feeds Through Both The Roots & The Leaves, Safe For Your Plants, Guaranteed Not To Burn When Used As Directed, Starts To Work Instantly, Promotes Quick, Beautiful Results. Grow a bountiful harvest with Miracle-Gro Garden Soil Vegetables and Herbs. Enriched with a blend of essential nutrients and formulated with continuous release plant food, it will feed plants for up to 3 months. Plus, Moisture Control technology protects against over- and under-watering so you can grow a bigger harvest. (vs. unfed plants). Moisture control protects against over or under watering, grows big, beautiful flowers in ground. Continuous release plant food feeds for up to 3 months, grows plants twice as big & promotes more blooms for greater color. 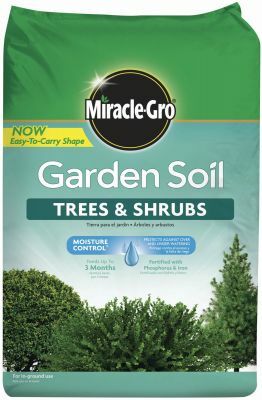 Miracle-gro, 1.5 cuft, tree & shrub garden soil, moisture control, protects against over or under watering, fortified with phosphorus & iron, enriched with miracle-gro continuous release plant food, feeds for up to 3 months, promotes root development & prevent leaf yellowing. • Coverage: 85 sq. ft.
• Revolutionary seeding mix that guarantees seeding success! • Repairs bare spots in sunny and densely shaded areas. Great for repairing wear and tear!